Location: Villeneuve, in the Puy-de-Dôme departement of France (Auvergne Region). Ownership / Access: Owned by the state. Notes: Château de Villeneuve-Lembron is located in Villeneuve Lembron between Clermont-Ferrand and Saint-Flour in the Puy-de-Dome in France. 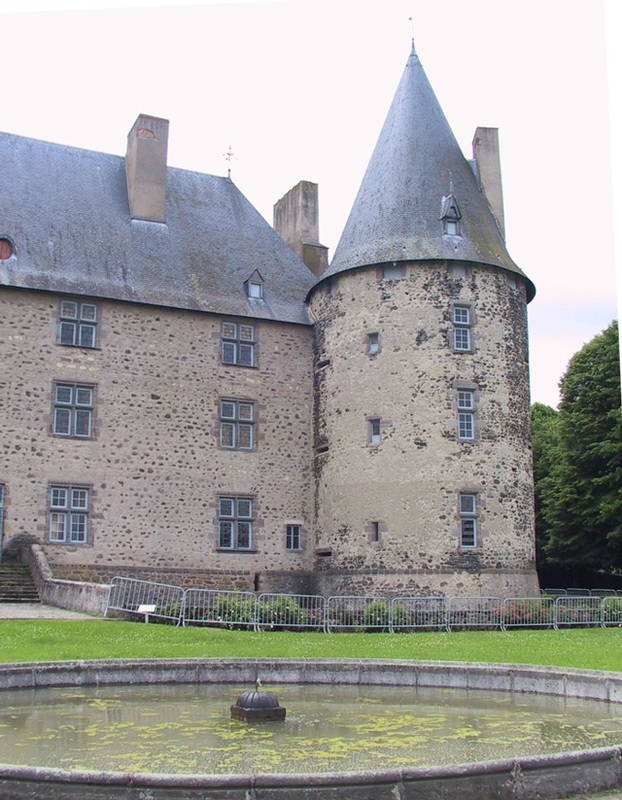 The castle of Villeneuve-Lembron was built in the late fifteenth century for Rigaud Aureille, bailiff of the mountains of Auvergne, butler of the kings Louis XI, Charles VIII, Louis XII and Francis I and Ambassador to Maximilian 'Austria. The land of Villeneuve fell in the early sixteenth century to the family of Montmorin. Gaspard de Montmorin added to the charm of the castle painted decorations which you can still see remarkable testimonies in the ceremonial room (recesses of the windows) and large stables. In 1643, Villeneuve Lembron was acquired by Isaac Dufour, treasurer of France, which also brought him to the building facilities. He transformed the courtyard aménagea a portico gallery and also decorated ceilings and fireplaces on the first floor. The chateau and its moats, the gateway to the neighboring farm, home decor and vaulted room decorated with paintings are the subject of a classification as historical monuments since 25 May 19262. Since 1937, the state owns the castle, which is managed by the Center for National Monuments and undertook major restoration work while opening it to visitors.